If you want to introduce a little more character into your home, seeking out pieces that make use of illustration can be an interesting way of doing so. There are practically infinite numbers of different styles of illustration to choose from – from cutesy and colourful to sombre and understated – and once you’ve found a look you like, or a particular artist whose work fits in well with your interior, it’s easy to stock up on lots of pieces that complement one another and to keep going back for more. Illustration is naturally appealing to us as humans because, even when it’s just a print on a piece of paper or fabric rather than an original work, its stylistic idiosyncrasies reflect the unique qualities of the individual who created it, and by extension the many inspiring differences between different people that make our species so endlessly fascinating. 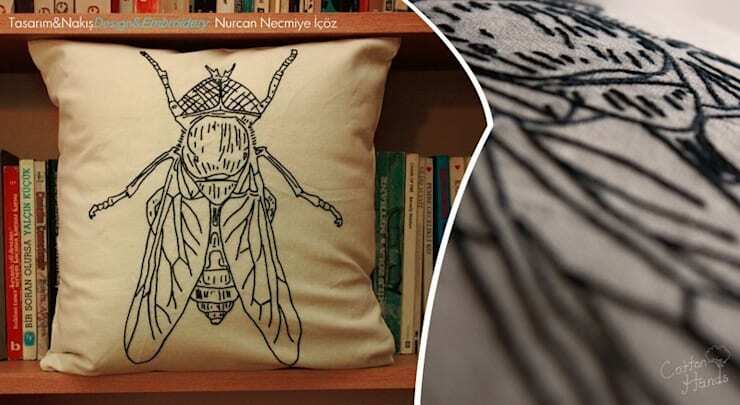 Take a look at these pieces that each use illustration in their own way for just a few ideas on making your home just a bit more artistic. 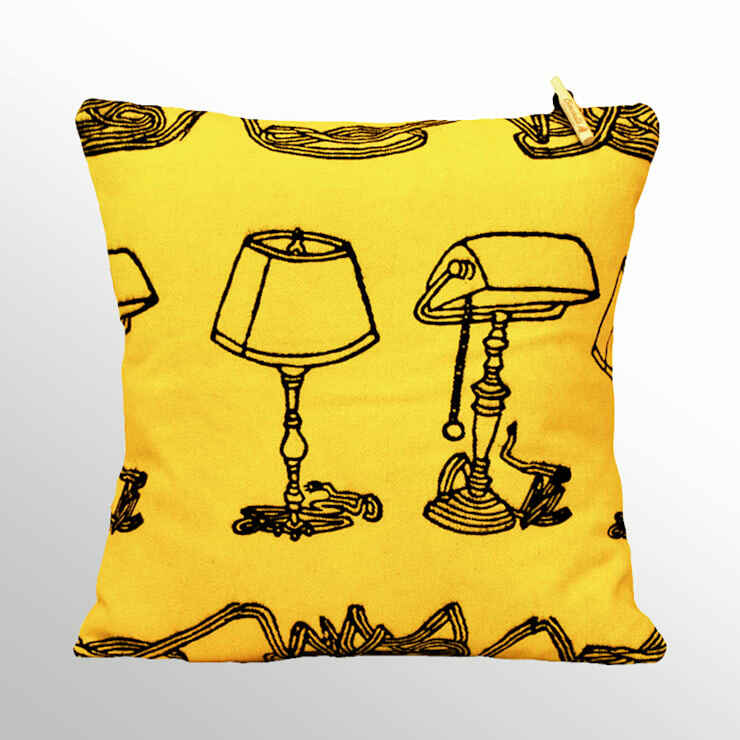 This happy little cushion is channelling another type of furniture: the table lamp. Specifically, it seems to think it’s a vintage table lamp, and with its bright yellow background it appears to be attempting to shine brightly enough to illuminate the room. These illustrations work well because, while undeniably sweet, they steer clear of the perhaps overly saccharine territory they might venture into if they depicted animals instead of inanimate objects. There is also something pleasingly unexpected and playful about using a piece of furniture to represent another, completely unrelated, piece of furniture. These wonderfully original jugs are good examples of the extremely diverse results illustration can produce, even within a single style. 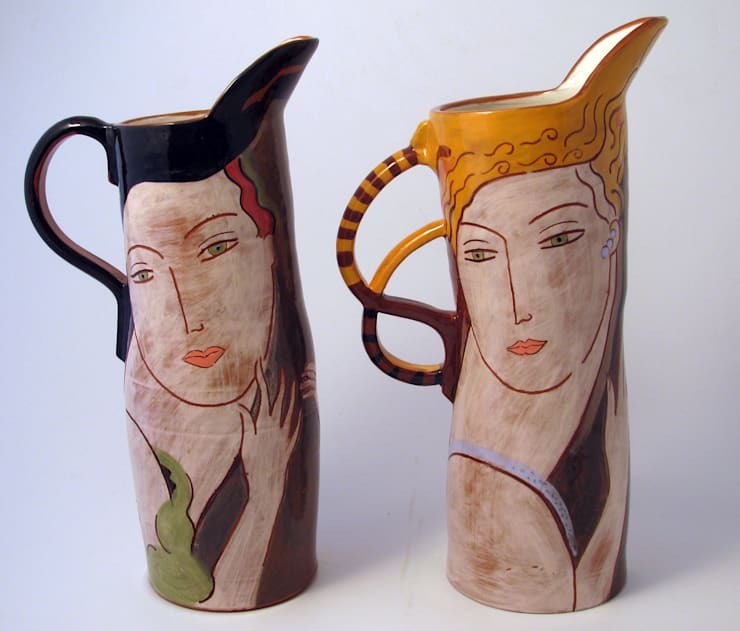 Although the technique is very similar in both cases, and the figure shown is even placed in almost exactly the same pose, each jug clearly has its own very unique identity. This is part of the particular appeal held by illustrations that show people; in addition to coming imbued with the unique character of the illustrator, the characters that the illustrations themselves show also have their own personalities that contribute to the mood in your home. Public opinion on the common fly is fairly unanimous in its negativity. It’s fair to say that – perhaps with a few very, very rare exceptions, probably exclusively among those who are professionally engaged in the study of flies– the public as a whole is not overly enamoured with our noisy little friends. So making a fly seem not only tolerable but actively desirable to have around is quite an impressive achievement. This cushion does just that, thanks to its combination of unexpected subject and perfectly chosen style. This adorable mug and plate set has a very clear draw that is down to a few different factors. For a start, the colour scheme selected by the illustrator mimics the one most commonly found in traditional willow print crockery, so upon first glance – or when seeing them from a distance – one expects something quite different, and altogether more conventional, from these pieces. Closer scrutiny, however, reveals that the subject of the illustrations is in fact the busy goings on at a cute, heavily stylised seaport. The particular style used, with its endearingly twee storybook style, is another major reason that these pieces would be very hard to resist bringing home to your kitchen. Which piece do you like best, and why?